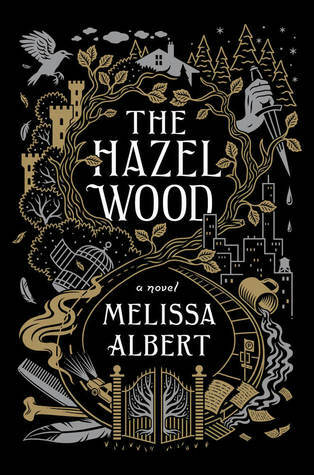 First off I will say that The Hazel Wood is nothing like I have read previously. I was expecting a generic fairytale laced story turned evil, but I got something different…better. I will add that the fairy tale aspect does not overly come out to play right away. I know for some people who have read the description are under the impression this will happen, but I enjoyed the slow build. For me this made the story better. The way the story was structure I was waiting for it, waiting for those who live at The Hazel Wood to strike. The suspense I felt throughout this book was immense. Another thing I enjoyed were the characters and their relationships. I felt like the characters stayed true to themselves even when the plot took twists and turn down the rabbit hole. When I was surprised by their actions or their reactions, it still felt like something the character would do. I also enjoyed the relationships and dynamics between Alice, her mother, Finch, and many more characters I don’t want to spoil. The relationships felt real because they showed their faults and everything wasn’t perfect. I find that sometimes relationships are not realistic in books because they are just so perfect. But this book showed dynamic relationships, both over all positive ones and negative ones. I will admit I found myself hating a particular character and I was not expecting myself to feel that strongly. Lastly, Writing was beautiful – I could picture everything. I could picture Alice riding in cars, sleeping in motels and bedroom. I could see The Hazel Wood and all the normal and magical twisted places she visits. Her writing was laced with imagery and it worked very well. A nice little bonus is that Melissa Albert makes references to many literary works, both modern and classic works. I appreciated each ones of these from Harry Potter to Wilkie Collins. One of the negatives of this book was there were a few times I felt that things were a little to easy, but I felt it did not take away from the story in any way. This was the only fault I found and as you can see, it is a pretty minor one. This was one of my favorite fairytale inspired stories. I ended up staying up past midnight to finish it and I have not done that in a long time. The writing was beautiful, the build up was perfect, and the characters and dynamics were done very well. If you are even slightly interested in this book I suggest you pick it up either from the store or your local library once it comes out. I would be surprised if you ended up disappointed. I loved this book so much I actually made my first aesthetic for a book.